Your âsomedayâ dream home, today! Upgraded cabinets and tile expanded throughout main living areas. 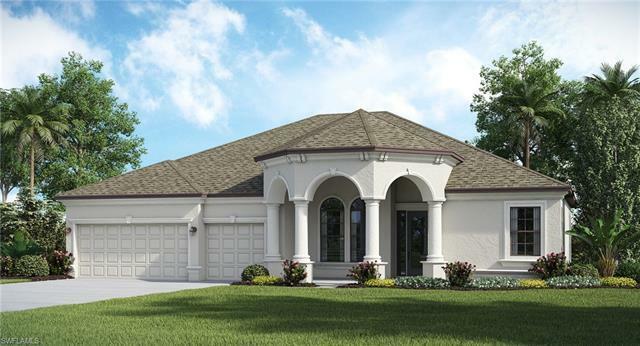 The Doral features 2, 553 square feet of beautifully divided living space with 4 bedrooms arranged in split plan for just enough privacy and togetherness for a large family! 3 spacious bathrooms conveniently spaced throughout, an expansive kitchen with nook for anytime meals and meetings. The separate living room ideal for special gatherings, formal dining room calls for elegant meals and holiday feasts. Large L-shaped lanai for potted plants and pleasant fresh air breezes, 3-car garage gives everyone room for their prized possessions. Photography, renderings, and virtual tour are for display purposes only â the model home furniture, accessories, wall-coverings, landscaping, and options are not included in the price of the home. Schedule your showing TODAY to learn more about this homeâs features & upgrades.